My name is Brendah Atsenga Mwarili from the western parts of Kenya. 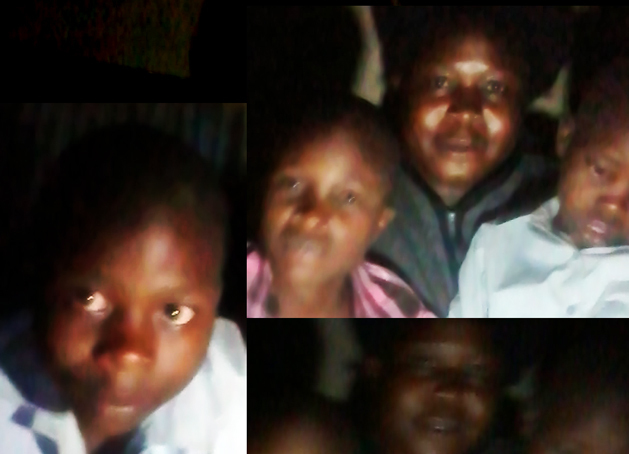 Born in 1967 and the sixth child born of a single mother, who was married in Uganda but her husband who happen to be my father was killed during idd amins time and my mum ran away with her children to her birth place in Kenya and I was born three months after my father’s death. My elder sisters and brothers didn’t get education but I was lucky to have been taken by the catholic sisters after my mother’s story was heard and got my education through their assistance. According to what I saw my mother go through, I decided to study psychology so that I could be of assistant to people who went through the same and other issues. I got my son in 1996 after finishing my college and having worked for four years with a man who cheated and said that he loved me but he disappeared after he noticed that I was pregnant. In 2005 I got a man from a different ethnicity who understood my issue and we courted for one year and decided to stay together but in 2007 we had our election and what followed was what has left my life so hard to bear. After the election our village in Kitale was burning and returning to the city was a problem, there was war allover among different tribes and I wondered how I could return to my work place. With the help of the army cars on a convoy people could travel at a given time and we arrived safely in the city. The thought of going to the estate where I lived, I could not imagine what I was going to see - my house, the whole plot was no more. It was risky even moving around so I went to a neighboring estate where I was given refuge and the next day went to my work place but it was very hard because I was not allowed to be seen by the community that I worked for because of my tribe. The organization got tired with us and what followed was resignation letters with the excuse of lack of funds but four years after we started work there. In the year that followed election was another tragedy since my husband was working in an area that was not of his ethnicity and in April 2008 I was rang by somebody informing me that my husband had an accident and 3people died in their company car, only to learn later that they were attacked and murdered and what followed is that I was not allowed to go and bury him because my presence was not allowed. The same year my husband was killed, my sister’s husband was also killed on his way home, they were stopped and asked to produce their identity cards, since his name proved that he was from a different tribe than others, they were picked out of the transport car and killed in front of other people. That left my sister in a lot of pain, stress and later depression and she committed suicide in 2011 April after she could not withstand the burden of paying fees to her children. I was forced to take the children since there’s nobody in our family who could accept them. After losing my job I opted to move to the slum with these children as that seemed the only solution for me. My plea is to help me get the children through their education successfully and also to get a home they can call their own. It really hurts me when they ask me when they shall ever have a home to go to. I want to get my family out of the slum. Among the African men, the richness a man can boost of himself is with land, house, and animals. I request you to help us get our own house and a land that I can divide among these young men that I am bringing up and help us to to come out of the slum. I know one day we are going to forget this tough life and be happy again.